Link adjacent bubbles of the same color into chains in this physics-driven world. "This game is never the same! It changes constantly. Lots of fun and also challenging. It will make you relax and also challenge you at every drop and change in the chain. It's a way to relax your brain after a long day." 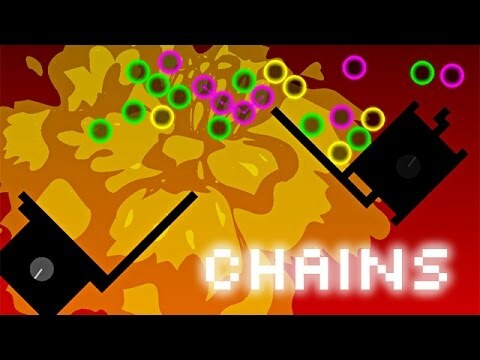 Chains is a challenging physics puzzler with a unique feel and distinctive vector graphics style. The object of the game is to link adjacent bubbles of the same color into chains. As you progress through the physics-driven stages, it becomes increasingly more challenging with 20 levels, each focusing on action, strategy or flow. Featuring up to 15 player profiles, three difficulty modes and unlimited replayability, Chains will put your skills to the test.